CertainTeed, a leading North American brand of building materials and subsidiary of Saint-Gobain, one of the world’s largest and most innovative building products companies, announced its newly formed joint development agreement with Unity Homes, the Walpole, New Hampshire-based home manufacturer with the mission to raise the bar on high performance, low energy and affordability. These industry-leading companies are teaming up to revolutionize the way American homes are built and to open a new door to innovation in the high-performance home market. Unity Homes began developing CAD-based digital tools to streamline and optimize the home design process. These tools formed the basis of Unity's Open Built (OB) platform, which uses a components-based approach to the off-site construction and on-site assembly of Unity Homes. 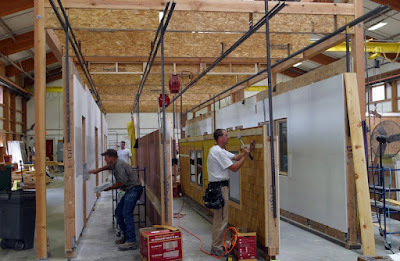 The on-site assembly consists of approximately 50 precision-built components, is weathertight in just a few days, and can be ready to move into within 6-8 weeks. It is a much faster process than traditional on-site builds and requires much less labor to achieve better quality and better performing houses (energy efficiency, aesthetics, and comfort). 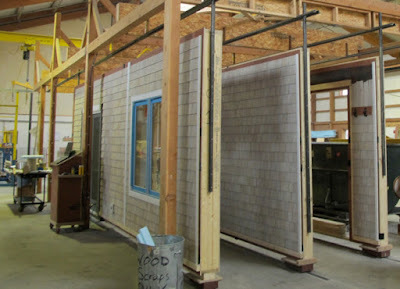 The houses can be delivered to almost any site where other prefab/modular homes can’t go due to the size constraints. Unity Homes builds high-performance homes throughout the Northeast. By precisely manufacturing building components in the controlled conditions of a shop and then assembling them rapidly on site, Unity is able to provide its clients with predictable quality, schedules, and costs. The resulting homes are comfortable, healthy, and energy efficient, with heating and cooling costs that are consistently low. Learn more about the benefits of Unity’s “Better Way to Build” at www.unityhomes.com. 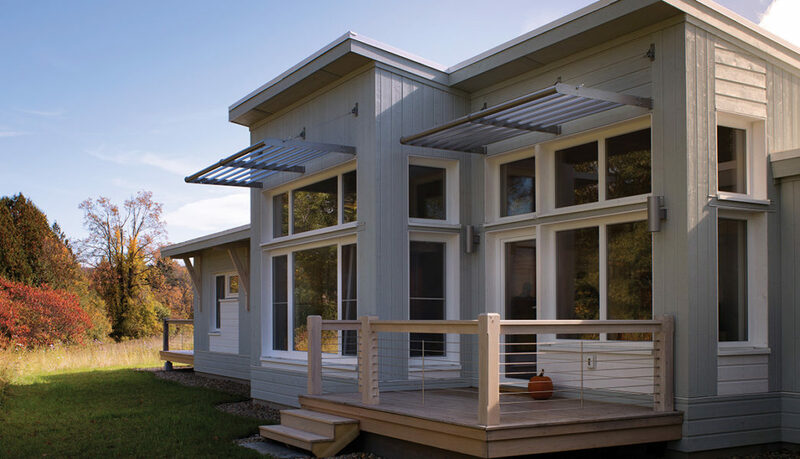 Through the responsible development of innovative and sustainable building products, CertainTeed, headquartered in Malvern, Pennsylvania, has helped shape the building products industry for more than 110 years. Founded in 1904 as General Roofing Manufacturing Company, the firm's slogan, "Quality Made Certain, Satisfaction Guaranteed," inspired the name CertainTeed. Today, CertainTeed is a leading North American brand of exterior and interior building products, including roofing, siding, fence, decking, railing, trim, insulation, drywall, and ceilings. A subsidiary of Saint-Gobain, one of the world’s largest and oldest building products companies, CertainTeed has more than 6,300 employees and more than 60 manufacturing facilities throughout the United States and Canada. The company had total sales of approximately $3.7 billion in 2017. www.certainteed.com.